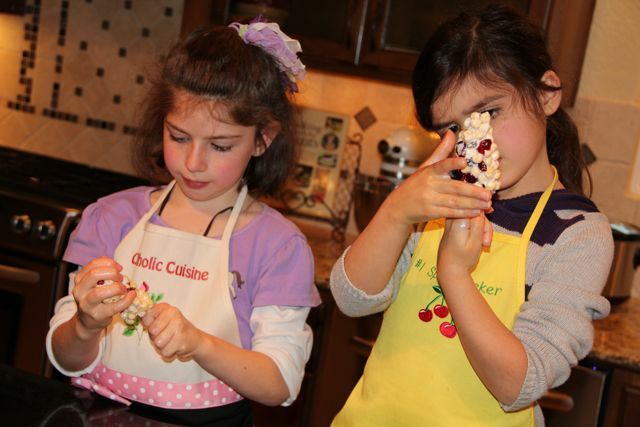 Yesterday afternoon, as a little activity for our Colonial Life Unit Study, and with Thanksgiving coming up this Thursday, the girls spent a little time in the kitchen making Edible Indian Corn. 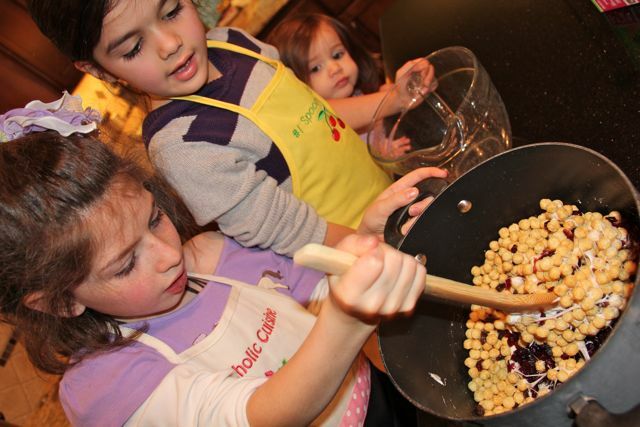 It was a great recipe for them to make (mostly on their own) and they had so much fun! In a large pot, melt butter and mini marshmallows over low heat. This takes about 5 minutes. 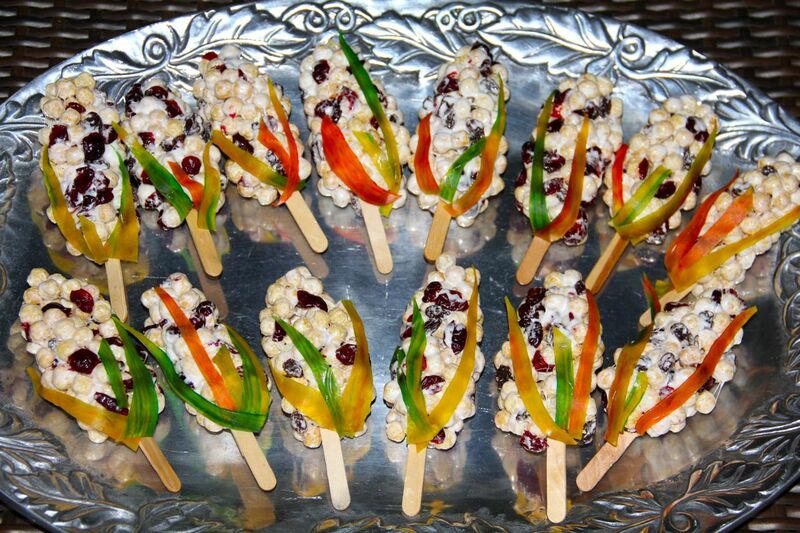 Remove the mixture from the stove and use a wooden spoon to stir in puffed corn cereal and diced dried fruit. Allow the mixture to cool for about 10 minutes. Using buttered hands, shape each treat by pressing 1/3 cup of the mixture around a Popsicle stick. Add fruit leather husks to the bottom of the ear, slightly moistening them to help them stick if needed. 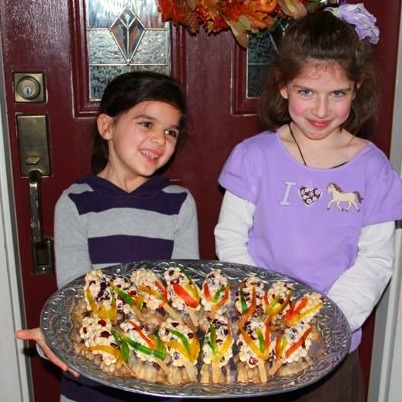 What Thanksgiving Treats have you been making? 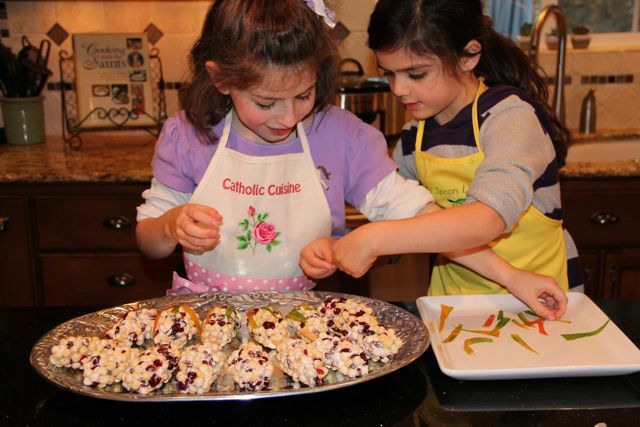 We'd love to see them over at Catholic Cuisine! I ditto...those are so awesome! How fun! I love the pic with little Rose watching her big sisters! How precious. So much to be thankful for! !